The Tony Awards administration committee met on October 18 for the first time this season to confirm the eligibility status of seven Broadway productions for the American Theatre Wing's 2019 Tony Awards. The administration committee will meet a total of four times throughout the 2018-2019 season to decide the eligibility for the 73rd Annual Tony Awards. The productions discussed were The Boys in the Band, Straight White Men, Head Over Heels, Gettin' the Band Back Together, Pretty Woman, Bernhardt/Hamlet and The Nap. 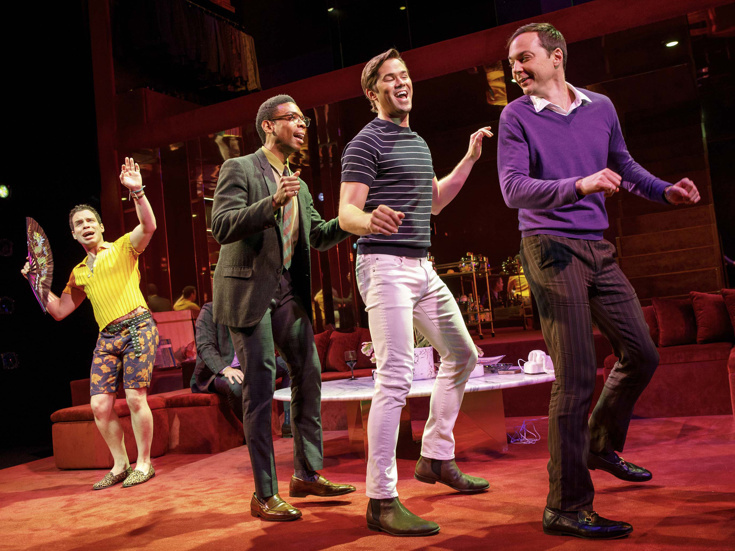 The 50th-anniversary Broadway-premiere staging of The Boys in the Band will be considered eligible in the Best Revival of a Play category. Samantha Barks and Andy Karl will be considered eligible in the Best Performance by an Actress/Actor in a Leading Role in a Musical categories for their respective performances in Pretty Woman. The American Theatre Wing's 73rd Annual Tony Awards will air on the CBS Television Network on Sunday, June 9, 2019 at 8:00pm ET. The Tony Awards, which honors theater professionals for distinguished achievement on Broadway, has been broadcast on CBS since 1978. The Tony Awards are presented by The Broadway League and the American Theatre Wing. Nominations for the 2019 Tony Awards will be announced on Tuesday, April 30, 2019.